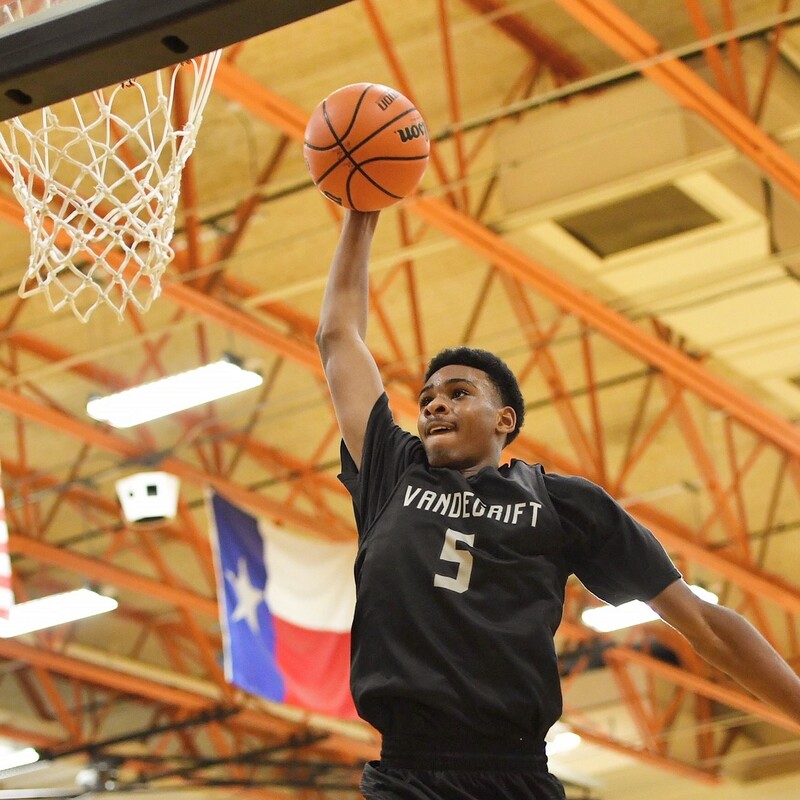 AUSTIN — The Longhorns Basketball team doesn’t have to look far for one of the nation’s best prospects. He’s already down the street. And destroying the Central Texas region as a do-everything sophomore. Vandegrift forward Greg Brown III is one of the top rated ballers from the 2020 class. His list of accomplishments is already impressive and he’s still 16 years old. He was named 25-6A Offensive MVP, averaging 27.4 ppg,12.3 rebounds, and 2.5 blocks while leading the district in scoring & rebounds. He also recorded 28 double-doubles, and led Vandegrift to a 24-11 mark in 2017-18. The 6-foot-7, 190-pounder’s career marks are sick; 492 points, 760 blocks, 197 blocks. All with two more years in high school. Part of his success is hard work and ball skills since a young age. His genes also play a role, where his father Greg Grown II played safety at Texas (1995-1998). So burnt orange runs in the family. “I started playing at Gregory (on UT’s campus) in 6th grade,” said Brown III. “I needed a little better competition.” For any Longhorn alums, Gregory Gymnasium is a hot oven in the summer, great for honing your skills. After a season like ’17-’18, what would Brown look to work on this offseason? While 37% isn’t too shabby, Brown III knows he can be better. Pretty lofty expectations for a 16-year old, who seems very mature for his age. As for recruiting, it’s only beginning for Brown III. He holds offers from Texas, first reported by our Joe Cook, Kansas, Oklahoma, Texas A&M, Cal, TCU, and Rutgers. That list will almost assuredly grow in the next 12 months. That’s the beauty of being in Austin. He can play pickup ball with UT ball-players, plus area standouts like Westlake’s Brock Cunningham (Texas signee) and Will Baker, and Lake Travis’ high-flyer Garrett Wilson. “All the time,” says Brown III. 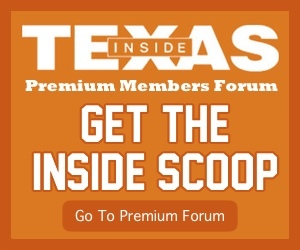 “I’m up at Texas working out with the players quite a bit,” Brown III said. It’s safe to say Brown III is a major priority for Shaka Smart and his staff. Greg also knows UT has a shot at this year’s NCAA Tournament, the Big Dance. Take it from Brown III. The 5-star knows the competition. And his future is as bright as any in the State of Texas. In any class. Vandegrift High School is named after Matthew Ryan Vandegrift, who was killed in action in 2008 during a tour in Iraq (4/21/08). Take a look at the Vipers’ leader’s latest highlights.